He did it again! 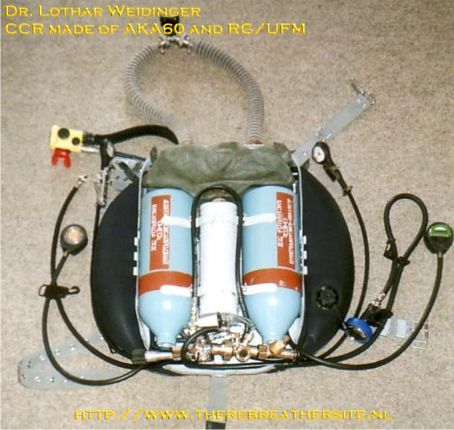 After his IDA71/RG_UFM project Dr. Lothar Weidinger build a new rebreather build from an east German RG/UFM oxygen rebreather and a Russian AKA60 semiclosed rebreather. First, excuse me for my poor English! I am only a recreational diver. I like to see nature under water and to dive in very clear water. 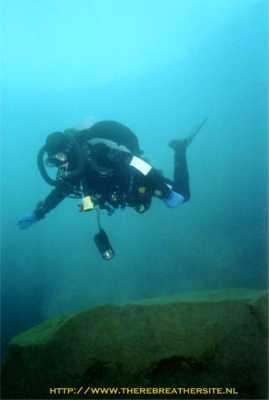 I dive mostly depths between 20 and 30 m. So I don't use side bottles or stages for decompression- or bailout-gases or argon-inflation. The RG-Regulator has a pressure between 7 and 9 bar. 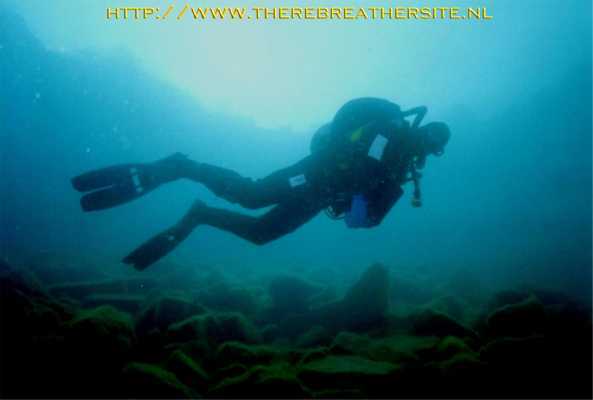 You can use the system up to 40 m. For deeper dives you have often to add manual oxygen. 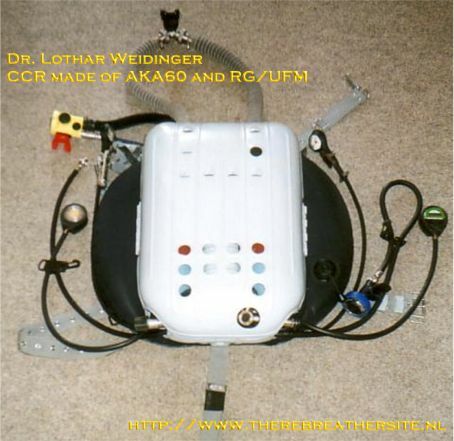 Function is the same like a KISS-oxygen-injection system, but little more compact. 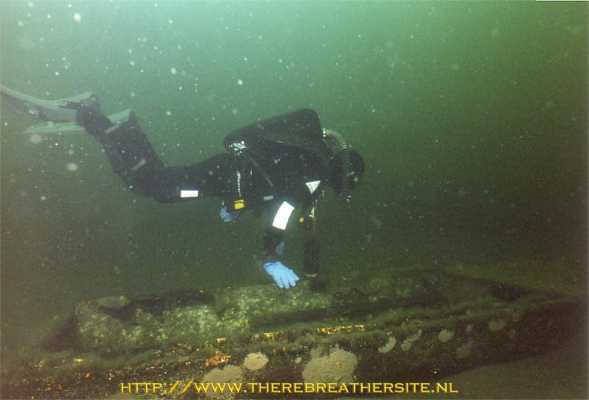 OC-diving I began in 1986. 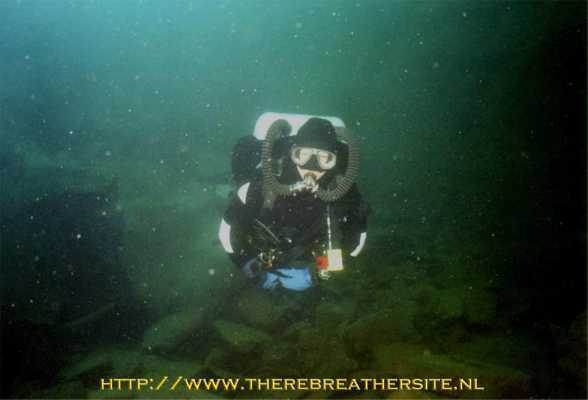 My beginning in rebreather-diving was in 2001. At first I used the original RG-UF/M, than I built from the unit a Nitrox CCR with back worn diluent gas and BC and chest worn RG-UF/M. I think you know the old pictures I sent to you from the unit. 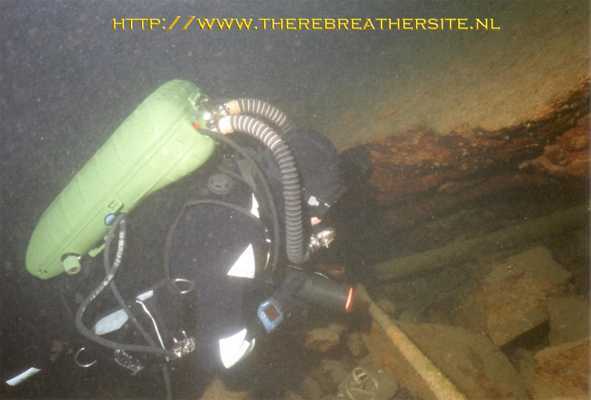 Last year I began (more safer) SCR-diving with a Dräger FGT. I did a course on the unit and bought one. Today I like SCR-diving and the easy handling of the FGT. 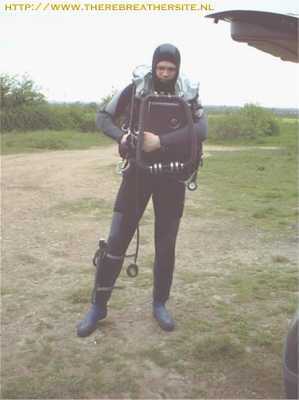 But CCR-Diving is lot more better and more fascinating. Dive without any noise and bubbles. IDA 71 has in my mind some problems with too much no needed hoses in the counterlung. Not easy to clean and dry the parts in short time. Second problem is low gas budget of the diluent/bailout/BC-cylinder. 2 liter is to small for some more bailout-safety. 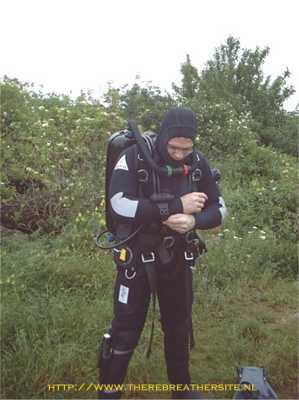 I often do longer dives between 90 and 120 min. 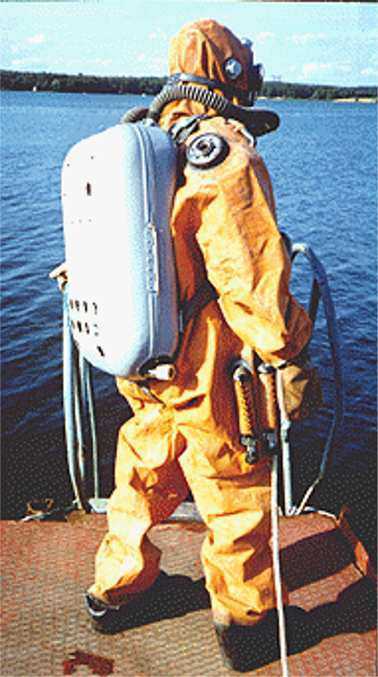 The lost of gas for BC and Drysuit inflation is too much. So I changed to the rare AKA-60. 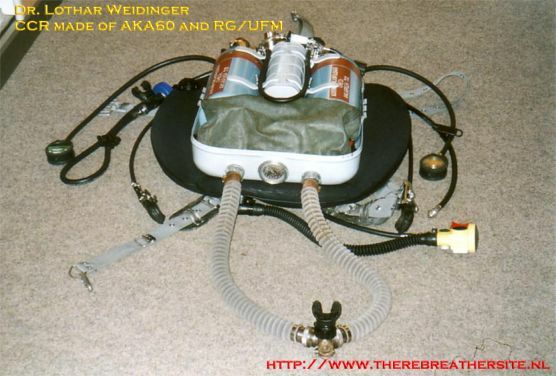 The AKA 60 has lower work of breathing (because i did not mount an extern jacket like on IDA), is better to clean and dry (only one breathing hose in the counterlung), has more scrubber volume (2,3 kg), 2x 3,2 l Gas cylinders made from aluminium, better trimming because of the wing bladder and so on. In my mind it is more compact, more efficient and looks better then IDA 71. 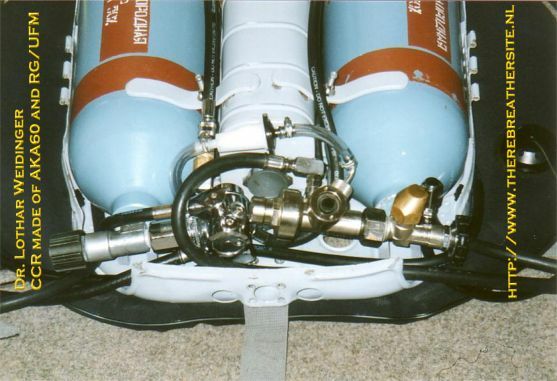 Dive feeling is best I ever had, because there is absolutely nothing to hear from the gasflow of the CMF-regulator and in the breathing hoses/counterlung. 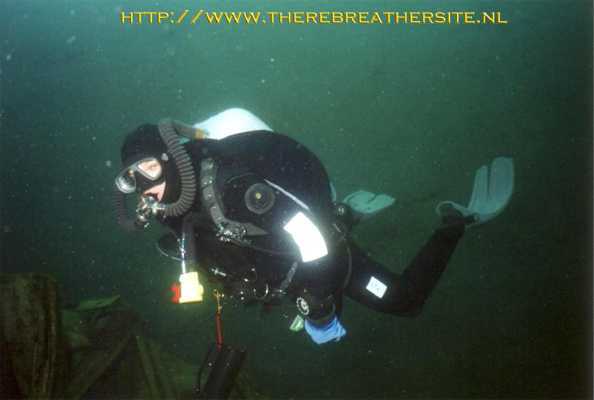 I think, if a diver understood the SCR-theory and has done a lot of SCR-dives he can change without problems to a system like the KISS-rebreather. But safer is to give him some helps in a course or in practical discussions. 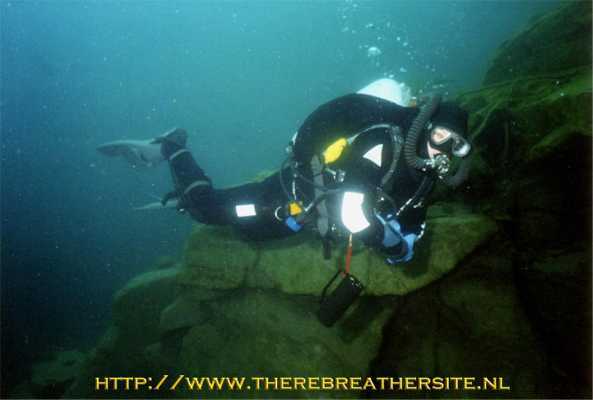 For diving a ECCR like Buddy Inspiration every diver should do a course. 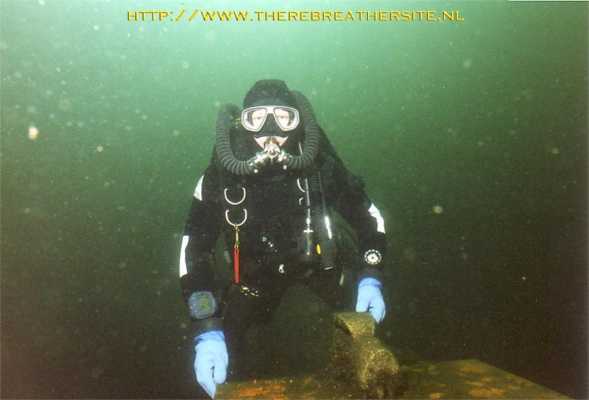 On the next pictures you see Lothar on his different rebreathers. 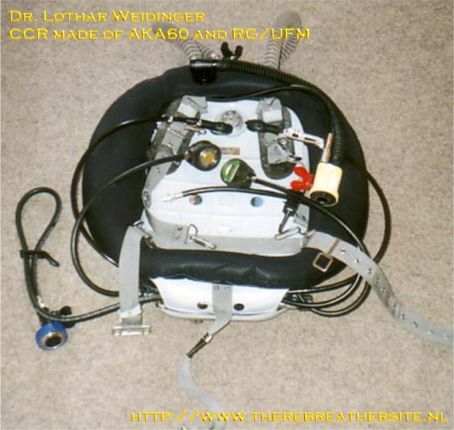 Lothar, thanks for your contribution! (again).